NailPro Makes Morgan Taylor The Belle of the Ball! 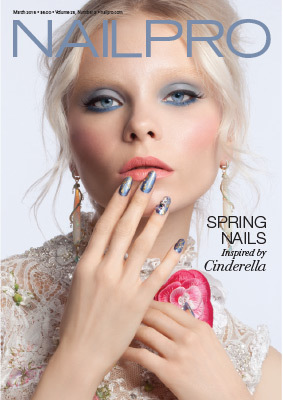 When NailPro Executive Editor, Stephanie Lavery, approached us about helping the magazine with their Cinderella inspired Spring Color Story we all but jumped at the chance! After having a creative meeting to discuss the direction of the Cinderella story photoshoot Hand & Nail Harmony CEO & Founder Danny Haile and educator Thao Nguyen, set to work creating lavish looks to bring the fairytale to life. The 12-plus hour shoot kept Haile and Nguyen busy creating signature looks with ProHesion Acrylic and Morgan Taylor Nail Lacquer. Despite the grueling day Haile said, "We were honored to be asked to contribute and couldn't be more proud of how the final looks turned out. They were truly nails meant for a princess."